So, not a perfect season opener but a decent enough one for us Sunday nonetheless – probably made more decent by other results around us though to be honest. Of course, it’s far too early for dropped points to make a difference to the outcome in May but 3 points and a clean sheet away won’t have done the confidence any harm after a poor pre-season. New signings Eden Hazard and Oscar acquitted themselves well on their Premier League debuts, with Hazard supplying a beautiful assist for the first and winning a penalty for the second against Wigan. Quite how he managed to come away from the game unscathed is anyone’s guess although he’s shrugged off the idea that some of the tactics used to cope with him were a little unorthodox by suggesting it’s nothing he’s not used to. Tonight’s game, brought forward thanks to our UEFA Super Cup game a week on Friday, sees us at home to newly promoted Reading and getting some kind of a momentum going with a win might be an idea. For Chelsea, new signing Marko Marin (hamstring) remains out although Ramires has recovered from the illness that kept him out Sunday and could replace Ryan Bertrand. For Reading, Jem Karacan (leg) and Jimmy Kebe (hamstring) miss out through injury and Jason Roberts is suspended. 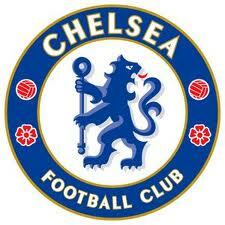 CHELSEA: (probable): Cech, Ivanovic, Terry, Luiz, Cole, Mikel, Lampard, Ramires, Mata, Hazard, Torres. 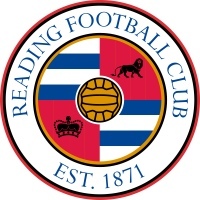 READING (probable): Federici, Gunter, Gorkss, Pearce, Harte, McAnuff, Guthrie, Leigertwood, Robson-Kanu, McCleary, Pogrebnyak. Ok, so for the statistical preamble then, for what it’s worth, we’ve never lost a game at home to Reading. In fact, Reading have never done particularly well in the Premier League in London, failing to win any of their last 9 games in the capital. Their last season in the top flight brought just 2 away wins from 19 (2007-08) and its 82 years since they last took 3 points off us. Before we get too carried away with the facts and figures though, we’d probably do well to ground ourselves – as our manager appears to have done – by remembering these newly promoted sides aren’t generally the walkovers we’d like to think they’ll be. Reading dropped fewer points from winning positions than any other team on their way to promotion last season and with some of the results around us seeming to go in our favour over the last few days, it’d be just like Chelsea to miss the opportunity to make that count tonight. what happend to luiz? why is he not in the squad?